Airbnb hosts and landlords of short term let properties in Walton, Liverpool are achieving the best yields in the North West’s largest cities of Liverpool and Manchester, according to new research. Indeed, Airbnb hosts in Walton can expect to achieve a rental yield of 30.68%, compared to landlords of longer term rentals, who can achieve a yield of 7.88%, the study from short term letting agency Portico Host shows. The research report points out that Walton is on the outskirts of Liverpool city centre and is a diverse and longstanding residential area. Property prices are cheaper here than in other Liverpool postcodes and much cheaper than in London, where the average property price is four times that of Liverpool, enabling landlords to achieve exceptional yields. Of the ten best performing locations for short term let yields, the top five are in Liverpool postcodes: L4, L6 and L7. In Manchester, the highest Airbnb yields can be found in Hulme at 17.4%. ‘It perhaps isn’t surprising to find that the properties that are achieving the greatest returns are those that are situated in areas surrounding Liverpool and Manchester city centres. These places typically have excellent transport links, proximity to popular tourist attractions, employment hubs, and good restaurants and cafes,’ said Rachel Dickman, Portico Host regional manager. ‘Liverpool is becoming increasingly popular on the tourist trail, with 1.34 million people visiting the city in 2018, and with business travellers, students and young professionals. A growing number are wanting to stay in short term let properties, and the increased demand for this type of accommodation is underpinning the rents that can be achieved,’ she added. Liverpool is also undergoing a £14 billion regeneration with plans for a new stadium for Everton football club and £250 million investment in road infrastructure. The strengthening of its economy and infrastructure, along with its growing student and young professional population, and lower property prices, make investment in places such as Walton, Kensington, Fairfield and Anfield a popular choice for investors. 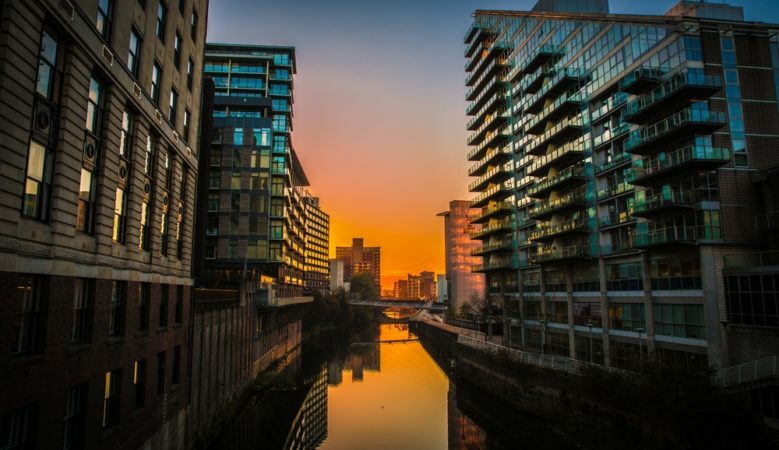 The same can be said for Manchester, which has one of the fastest growing populations outside of London, and alongside Liverpool has seen a huge influx in tourists and visitors, as improved transport links have made it easier to visit. In 2018, Manchester hosted 4.9 million visitors in 2018. Hulme has seen more than £400 million worth of investment into regenerating the area. Its array of diverse eateries, bars and shops has made it very popular with young professionals and it is just a few minutes’ walk from Manchester city centre. Whilst Ancoats was named the 13th coolest neighbourhood in the world in 2018 by Time Out. It is a 10 minute walk from Piccadilly and boasts affordable co-working spaces, apartments with riverside views, craft beer outlets and artisan bakeries. Emma O’Rourke, Portico Host manager, pointed out that it is good news for landlords that mortgage lenders are waking up to the popularity in short term lets, although they do remain cautious of the risk it poses to their balance sheets. Last year, one lender launched a mortgage aimed specifically at Airbnb hosts and landlords who want to rent out rooms in their home for short and ad-hoc periods. ‘We expect High Street lenders to follow suit with more mortgage products for these types of properties coming to the market, making it easier for people to let a property in the short term,’ she said.